The unique sound of their music is due to a synthesis of different musical styles. 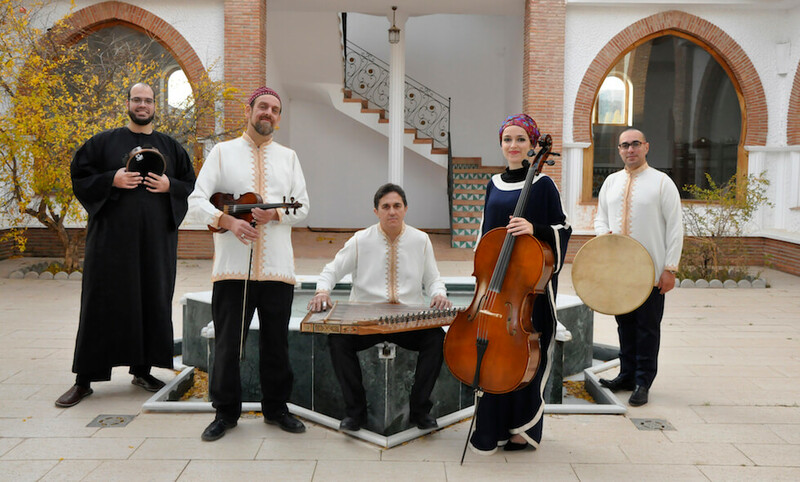 These include original compositions of a more Western classical character with influences from both Celtic and Flamenco traditions, and new arrangements of songs drawn from the rich heritage of traditional sufi music from Arabic, Andalusi and Turkish sources. The words of the songs are mainly in Arabic drawn from the poetry of the great sufis from Al Andalus and the Arab world such as Ibn Arabi and Al Shushtari. Also within their repertoire are musical adaptations of poems in aljamiado, old Spanish written by the Moriscos using the Arabic script. In this way Al Firdaus hopes to revive the heritage of the Moriscos whose culture was forbidden in its day and and has only reached us through manuscripts which they left behind on their expulsion in 1609 and that have been discovered over the years hidden in old houses. Al Firdaus usually plays in quartet or quintet formation, but is versatile and can perform as a trio, or in larger formations depending on the requirements of the concert. They use a combination of Arabic and Western classical instruments in addition to the flamenco guitar, and have a range of singers, some of whom are soloists and others who sing in the choruses. They can also perform in choral formation accompanied only by percussion instruments. They have performed in concerts and international festivals throughout Europe, Bosnia, the U.S., Morocco, Algeria, Tunisia, Turkey, Lebanon, and Malaysia.